You guys, when I started planning this trip to Scotland, I made a point of finding fun kid friendly things to do. Kids don&apos;t care for Scottish history so much, and having a 5 year old makes outdoor adventures and even castle hunting a bit of a drag. But I figured the Highland Games might be a fun cultural thing to see. 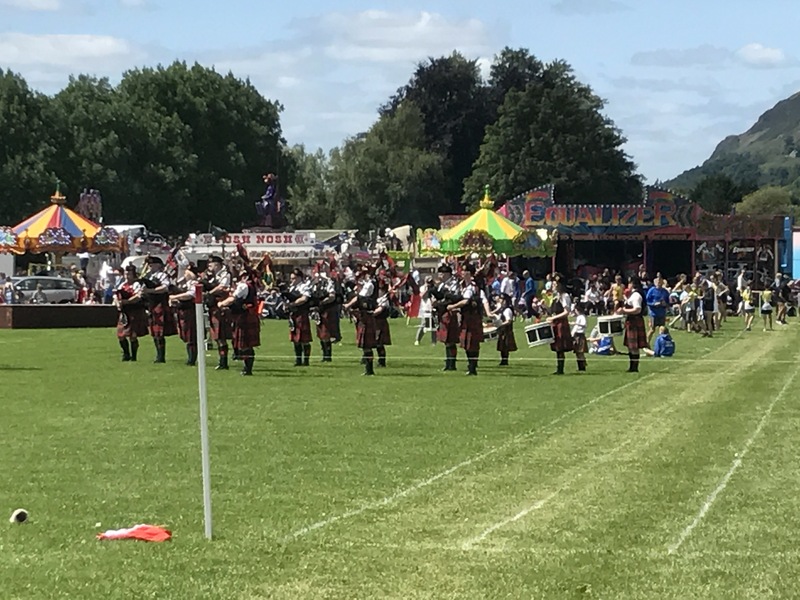 Turns out, it&apos;s like a big Scottish track and field day, but with bagpipes and Highland dancing, those big log throwers, carnival rides and, of course, kilts. It ended up being one of the nicest days for weather we have had. We drove a little over an hour from Edinburgh to Alva. There were a bunch of events to watch, but they were more of a cool backdrop to the rides the kids wanted to go on for about 2 pounds each (bigger kid stuff like rock climbing was about 4 pounds). Some of the rides were over-priced. 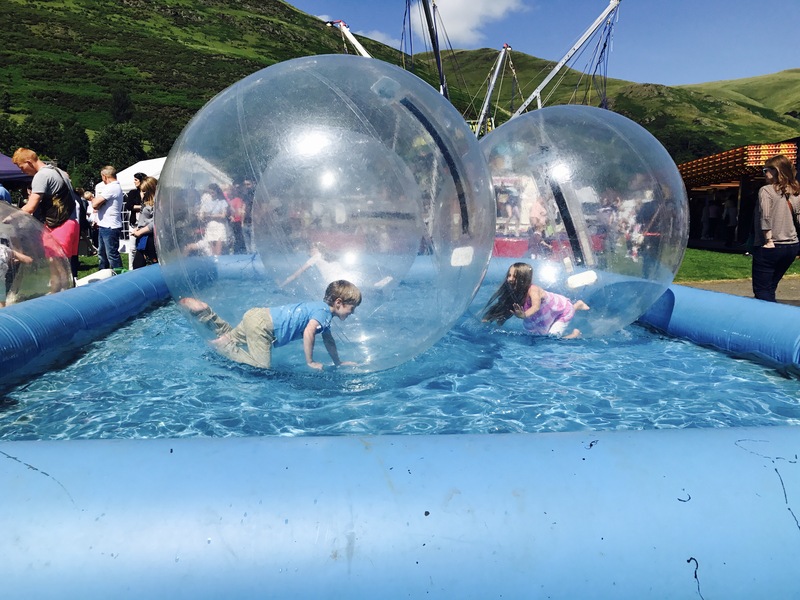 But the kids got go in a zorb ball on water (aka water zorbing) and that was the highlight! We watched some of the games, went on a few rides, and then enjoyed the park&apos;s playground. It was a fun, laid-back day, and they got a little taste of classic Scottish culture. One caveat-you might want to bring your own food as the choices were not very good.